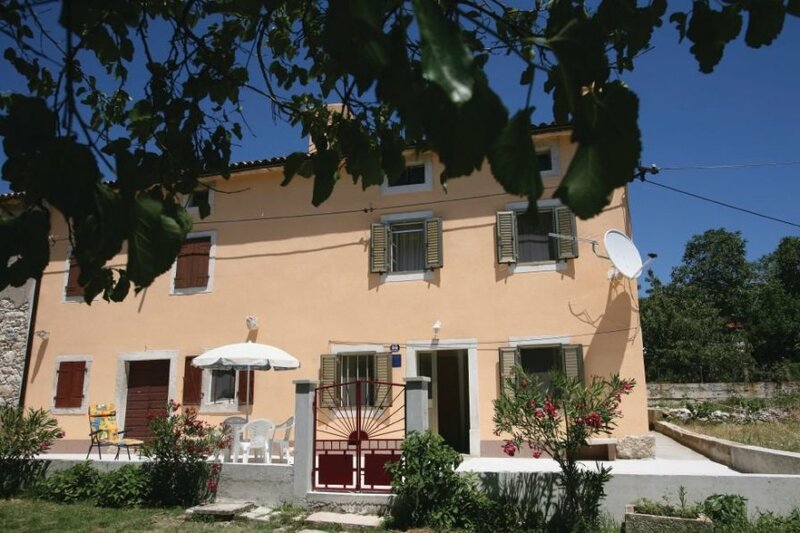 This traditional, semi-detached house is located in the romantic Istrian village of St.Lovrec. The house is ideal for smaller families or couples. The house has a spacious, sunny terrace. This traditional, semi-detached house is located in the romantic Istrian village of St.Lovrec. The house is ideal for smaller families or couples. The house has a spacious, sunny terrace, where you can enjoy a delicious breakfast in a Mediterranean atmosphere and later relax and enjoy the sun. Nearby there is a small town of Tunarica, where a beautiful beach and a nice restaurant await you. Do visit the popular excursion destination of Skitaca, which is famous for its medicinal water springs. This villa is made from brick or stone and was originally built in 1930 and refurbished in 2010. The agent has rated it as a three star property so it is a well-kept villa, equipped with standard furniture. It is also good value for money. This villa has view over the landscape and is located in Sveti Lovreč Labinski, only 13km from Labin. The nearest airport is 50km away. It is set in a convenient location, 1.7km away from a stone and pebble beach. There's also a restaurant 3km away.